Apple files a lot of patents and it’s not necessary that we might see an end product surrounding it at once. 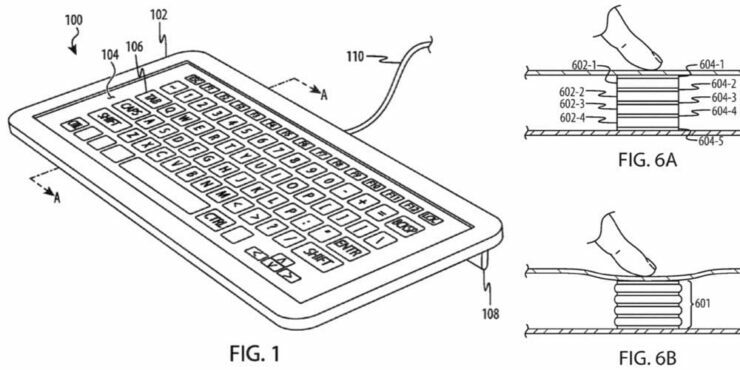 The company has filed a new patent with the USPTO that details the working of a capacitive keyboard. The purpose of the keyboard is kept the same as a physical keyboard but the physical keys have been replaced with the touch-based input method. So let’s dive in to see some more details on the new patent and how Apple plans to achieve it. There are several hurdles that Apple needs to overcome in order to move ahead with its plans of a capacitive keyboard. Primarily, it will not feel anything like the physical keyboard, so it’s difficult to make it tactile. In addition to this, the accidental key presses are also one of the major hurdles that Apple would have to take care of. In the patent, Apple states that it will tackle these issues with the aid of electrostatic charge. With this, users will have a feel of the edge of the keyboard. Moreover, with the same method users can differentiate between the keyboard and the flat surface. 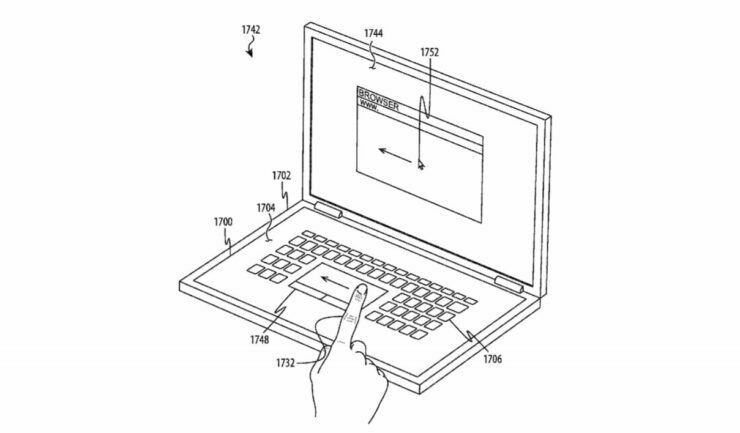 Probably when the technology is ready, we will see capacitive keyboards with touch controls in different products. As we have mentioned earlier, it’s just a patent at this stage and there’s no official release date of the product. This is all for now, folks. What are your thoughts on the new Apple patent? Would you accept the change from a conventional keyboard to a capacitive one with touch-based controls? Let us know in the comments.